For those who are about to rock, we salute you! Headed to the largest annual Rock show in the state of Texas! 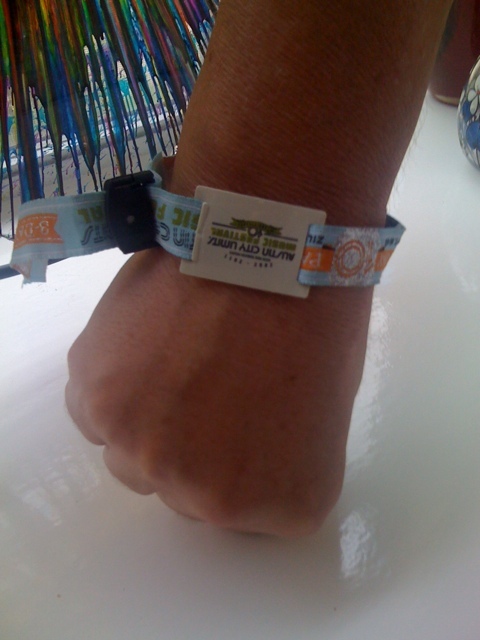 Here’s a picture of the 3 day wrist band. This entry was posted in Life Events, Live Performance Reviews and tagged Austin, Austin City Limits. Bookmark the permalink.